Illinois Northern was a Chicago area short line that ran from McCormick Station (east of 26th Street Crossing) to a connection with the north end of Grand Trunk Western's Elsdon Yard. 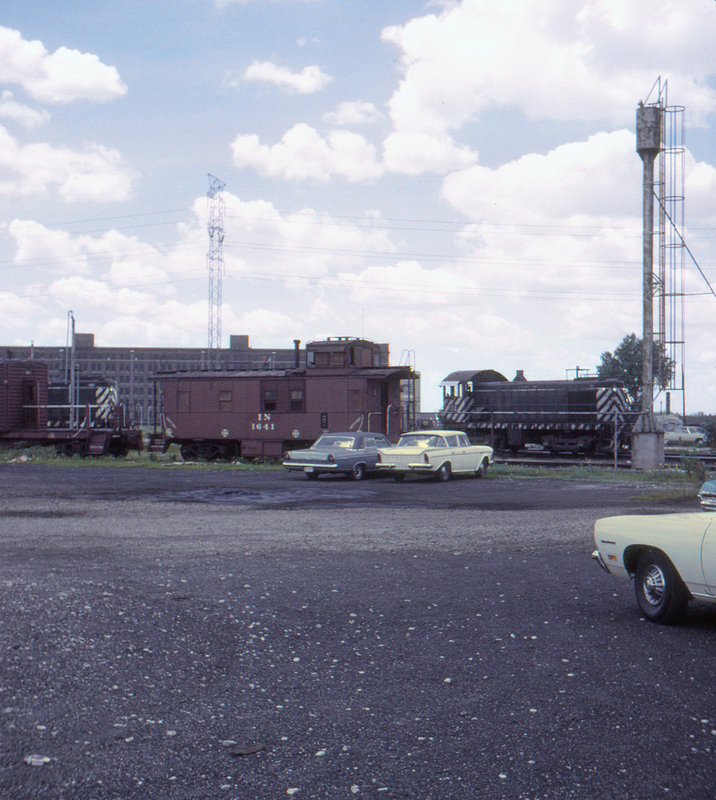 Originally owned by International Harvester, by 1971 most of its stock was owned by the Atchison, Topeka & Santa Fe, which completely took over operations in 1974. The line was finally abandoned in 2010. Here at 26th Street Crossing is caboose no. 1641 and one of the six Alco S-4 switchers (no. 31) that made up the road's roster at the time of the photo. This page posted 3/28/2018; revised 1/1/2019. Text and photo ©2018 Lamont Downs.